The painting of Saint Jerome in the wilderness is one of the famous works of Leonardo Da Vinci. This was a painting that he worked on around the year 1480. He has managed to get the neck muscle perfectly right in terms of its anatomical structure. He has another similar painting that he did in 1495 where he failed to get it right. Later on in 1510, when he was dissecting bodies to study their anatomy, his notes show that he got a very good understanding of the anatomical structure of the neck muscles. This had researchers puzzled. How did he manage to get something right in 1480 when he only figured out what was right thirty years later? The most convincing explanation, which has since been verified, is that Leonardo went back and corrected the original that he had done in 1480, thirty years later when he had a better understanding of what was right. This is testament to the nature of Leonardo Da Vinci. What he was after was mastery. When he obtained new knowledge, even if that was several years later, he went back to update his previous works to showcase the new knowledge. As I wind down the year and start planning for the next year, this is the biggest learning I will keep at the centre of my entire planning session. In the last couple of years, I have started on and even finished several new things in completely new areas that I had never ventured in before. But, if mastery is launching a rocket and flying it to Mars, all I have done is launch a rocket that goes to the International Space Station, which is a long long way away from Mars. In 2018, whatever I take up, I would like to make progress on the mastery scale and move beyond just the International Space Station, and maybe reach the moon, if not Mars. It is very easy to decide that I'll do something. It is just as easy to tell people that I'll do it. It is not as easy to actually do it. But it is a hundred times harder to do it and do it well. 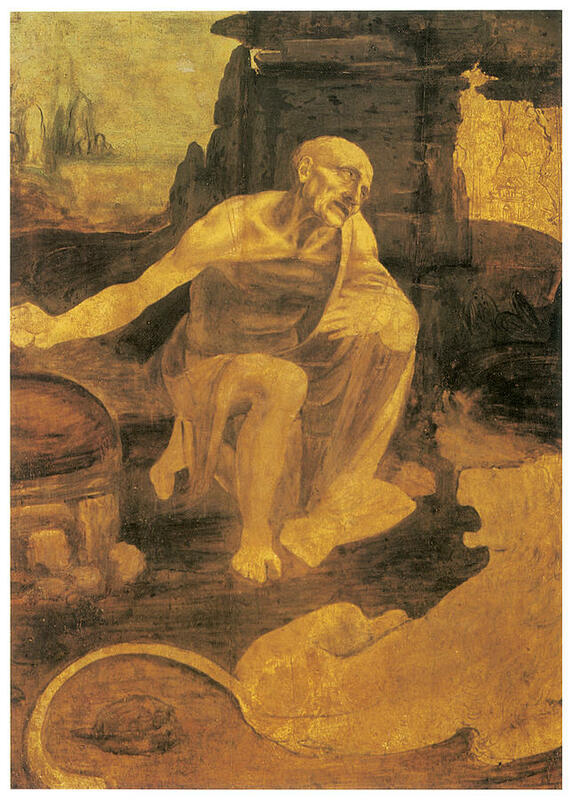 As I set my goals for the next year, the picture of Saint Jerome in the Wilderness will be my guiding principle. I'm changing my screensaver to it right now. Maybe I'll even print it out and paste it at my work desk.